Buying a car in Malaysia is an expensive affair. 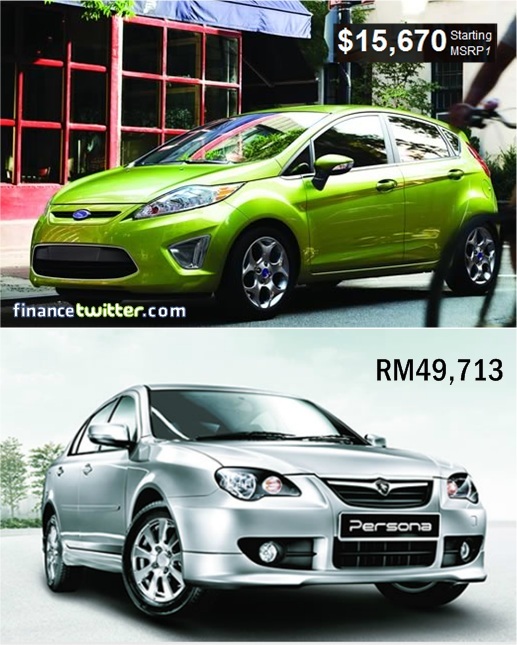 Besides a place called home, car is perhaps the biggest commitment to an average Malaysian. It’s not a fairy tales anymore that an average-Joe could be spending the rest of his life paying installments for his home and car. And we’re not talking about bungalow with swimming pool or a BMW, mind you. 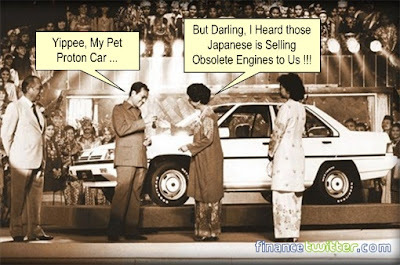 When the AFTA (Asean Free Trade Area) was mooted in 1992 and as date nearing the 2010′s actual implementation, many were grinning from ear to ear hoping to buy a “quality car” at a more affordable price. It never happens. Dollar for dollar, people are still wondering why locally designed and built cars are still more expensive than imported foreign cars in the same class. At 1.6-litre segment, a latest 2012 Ford Fiesta cost about US$16,000 in U.S. but a local Proton Persona cost a whopping RM49,000. A new 2012 Toyota Camry 2.5-litre in United States cost merely US$30,000 but it is costing you a leg and an arm at RM183,000 here. Hence an American with monthly salary of US$3,000 could own a Camry with his 1-year salary while a Malaysian requires about 5-year salary to own the same car, dollar-to-dollar speaking. Even after converting to Malaysian Ringgit, the Camry should cost you roughly RM90,000 instead of RM183,000.